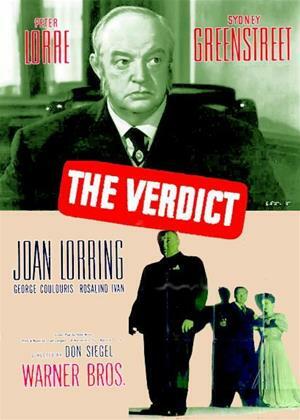 Sydney Greenstreet, Peter Lorre, Joan Lorring et al. Mr. Grodman (Sydney Greenstreet) was a respected superintendent at Scotland Yard until a mistake in an investigation caused the execution of an innocent man. He takes the blame and is dismissed, replaced by the obnoxious, gloating Buckley (George Coulouris). Feeling vengeful, Grodman would like nothing more than to see Buckley look foolish on the job. His friend Victor Emmric (Peter Lorre), an artist with macabre tastes, wouldn't mind either and soon a mysterious murder occurs that may provide them with the chance.